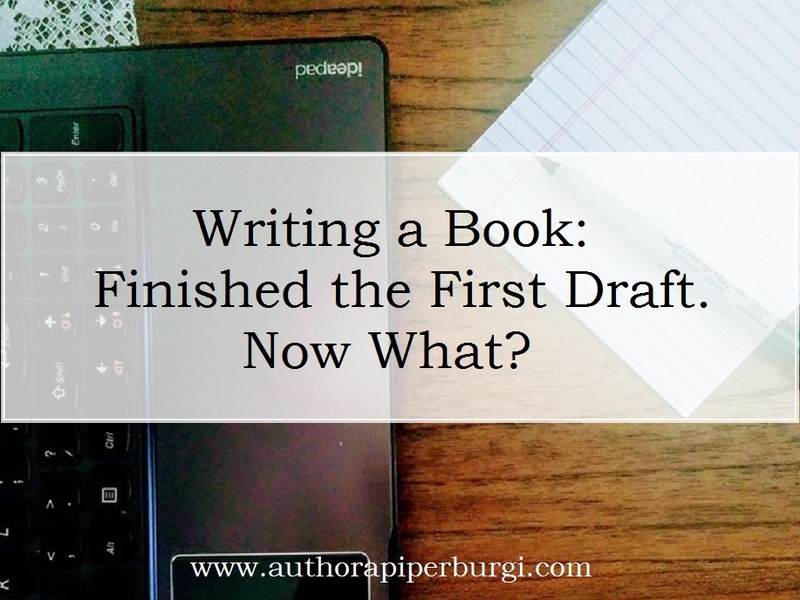 A. Piper Burgi - Independent Author: Writing a Book: Finished the First Draft. Now What? 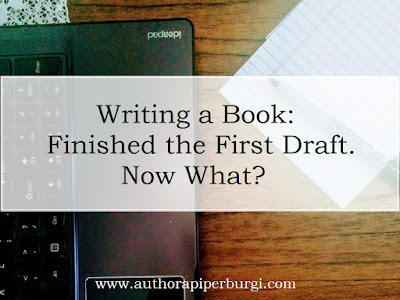 Writing a Book: Finished the First Draft. Now What? 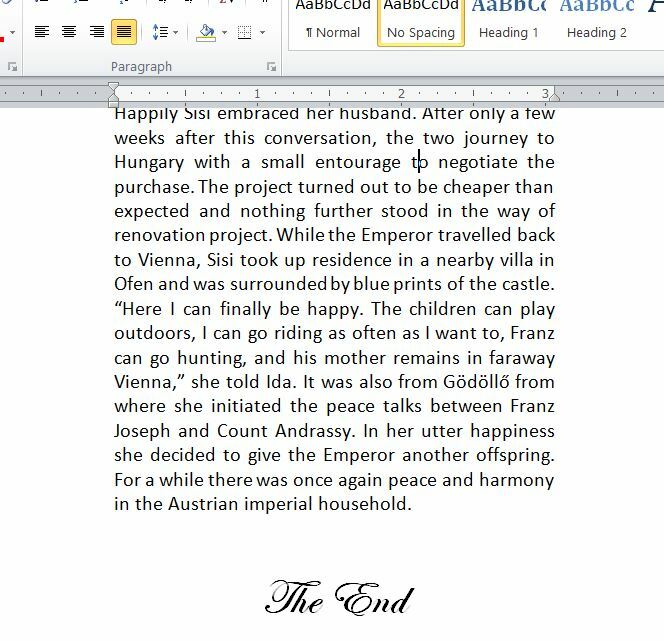 After finishing the initial draft, I find it helpful to gain some distance by setting the manuscript aside for a while. When I finally begin my first round of editing, I can do so more objectively. I just created this fantastic piece, but I know I really shouldn't get too attached. They are just words jumbled together in sentences and paragraphs, which I hope make sense to readers. But as much as I might love what I wrote, I need to go back through the entire book and eliminate what doesn't work. 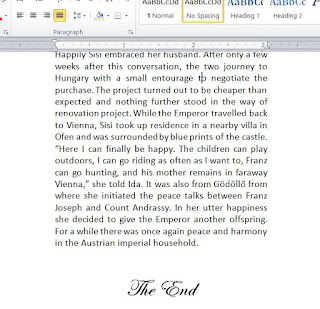 To make this process seem less of a loss, I cut and paste my deleted items into a blank document for future reference. Waste not, want not!